We all know from The Velveteen Rabbit and Toy Story, that the second we leave the room, toys come to life. Swinging from table lamps, sliding down rocking chairs, and jumping on the bed, toys never quit when it comes to showing their playful side. Lana Organic stuffed animals are wholesome creatures with animation woven through every eco fiber of their being. 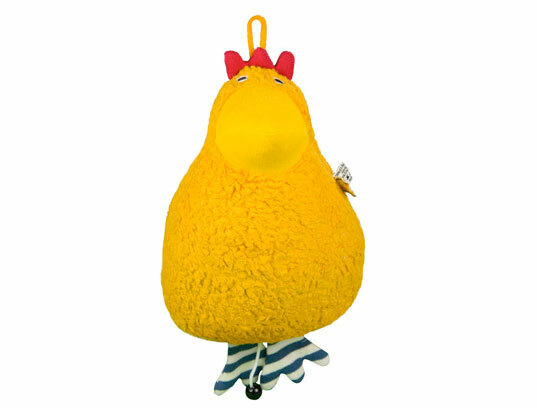 One need not turn their back on these 100% organic cotton toys for them to energize a child’s room with liveliness. Every stitch of a Lana Organic stuffed animal is sewn by a home worker. Their cuddliness is achieved with a 100% pure merino wool filling, and their bold colors are brought to life via Oko-Tex certified dyes. Lana herself oversees the process from the cotton field to the workers who make her stuffed animals, to assure their organic quality and certification. 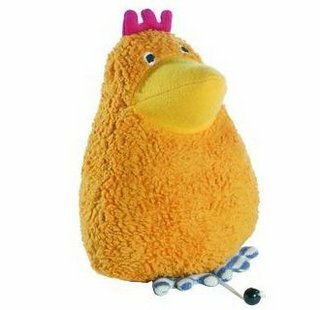 In addition to pecking its way into your little one’s repertoire, the Musical Chicken shown below offers a far cry from a cackling “cluck” by playing a soothing lullaby for baby, which you may listen to here. The Duck and the Goose are ideal pals for little ones, as their necks are easy to clutch and their rounded tummies beckon good, tight squeezes. We love the expression on the Milou Bunny’s face below. He’ll definitely help your tot get up to tons of mischief and fun. Lana Organics promote creative play, foster the imagination, and act as soft, lovable buddies who bring soul and comfort to nurseries, road trips, sleepovers, doctor’s appointments, parks… you name it. We all know from The Velveteen Rabbit and Toy Story, that the second we leave the room, toys come to life. Swinging from table lamps, sliding down rocking chairs, and jumping on the bed, toys never quit when it comes to showing their playful side. Lana Organic stuffed animals are wholesome creatures with animation woven through every eco fiber of their being. 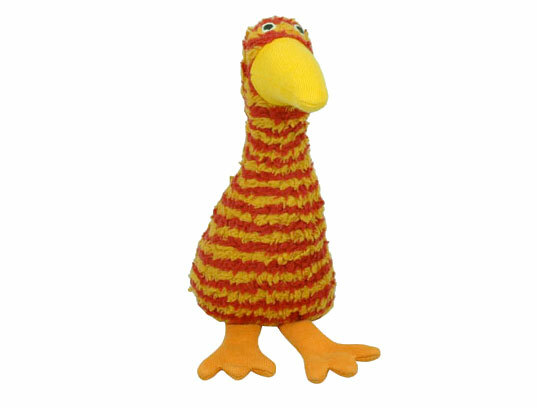 One need not turn their back on these 100% organic cotton toys for them to energize a child's room with liveliness.